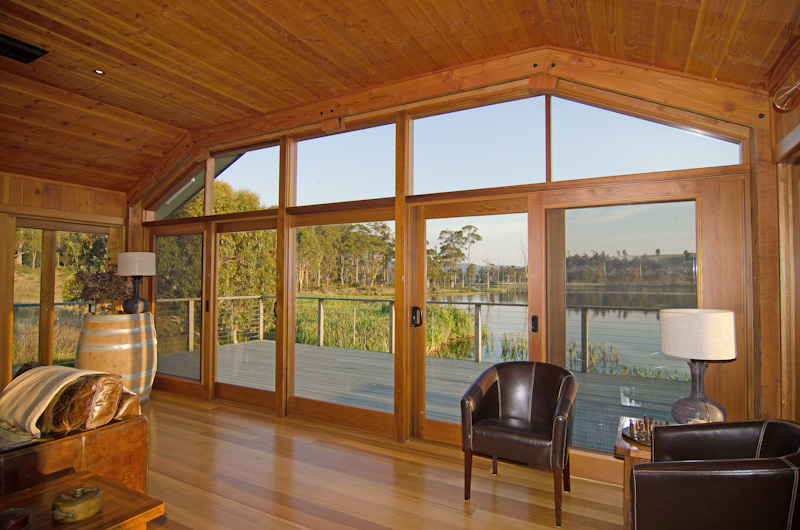 A breathtaking setting, the expansive deck is perched on your secluded lake, alive with wild trout and birdlife. Watch the trout rise, water birds swim, and the deer roam, whilst enjoying a roaring fire curled up in your large leather lounge. 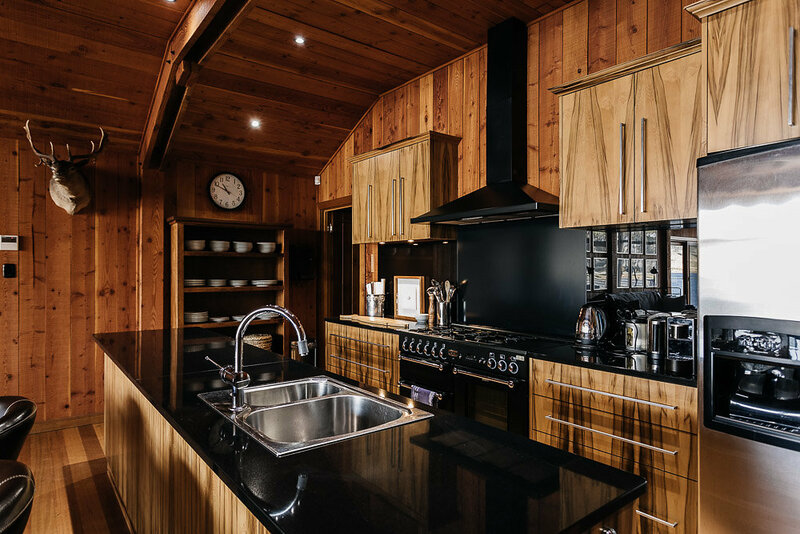 If there is a group of you staying in different accommodations at Currawong Lakes peak prepared for your lakeside deck and woodfired pizza oven to be the centre of the entertainment world. As your friends open another bottle of wine or pour a wee dram of whiskey (Tasmanian) you will be in Tasmanian wilderness bliss. There is something magical about how the tranquillity of a water view just seems to relax everyone that little bit more. If you are a keen fly fisher then you are constantly going to be in a state of flux. For no matter where you are standing at the front of the lake house you are almost always going to see a spot where you are sure there is a big brown lurking waiting for your dry fly. “People say this is the middle of nowhere but I think it’s the middle of somewhere,” says Meryn Krimmer, as we stand by the lodge at the lake. It’s near dusk and squads of ducks are scattered about the water, feasting on insects among the reeds. 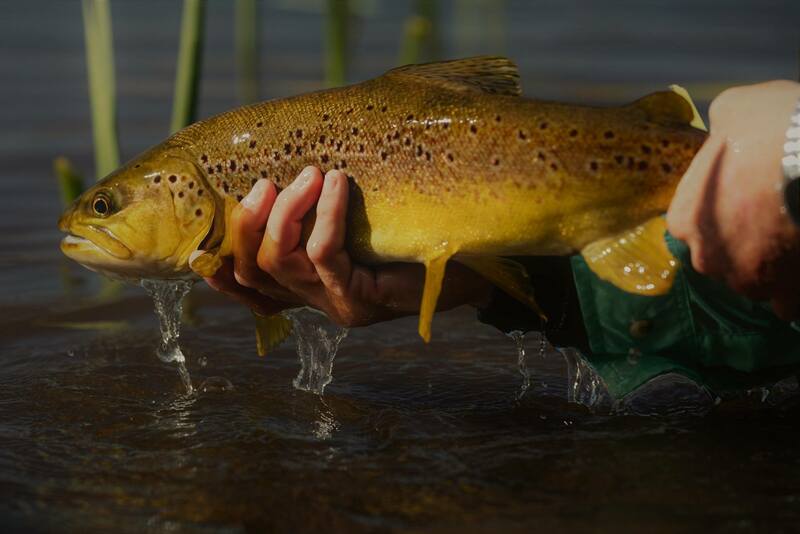 There’s a splash as an ugly great brown trout catapults into the air to snare a loitering bug. Teeny birds are perched along the back deck, nattering away. “Welcome swallows,” Meryn calls them. 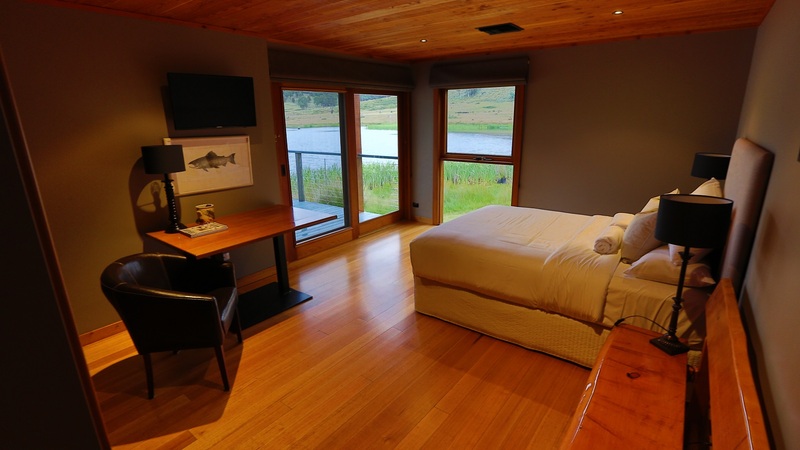 The “somewhere” that we’re in the middle of is Currawong Lakes, a remote fly fishing retreat in the highlands off Tasmania’s east coast. Should we open another bottle of red? 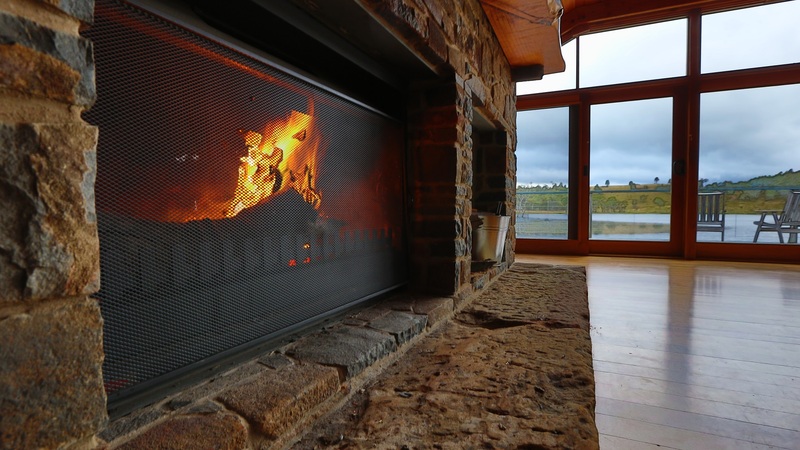 The midsummer night’s air is still so fresh and crisp that we are tempted to light the large log fire. Outside, the clear lake is a mirror, reflecting an extravagant spray of stars. Hours pass happily in the comfort of the Owner’s Lodge, which is smartly designed to ensure every bedroom has a water view. The well-equipped kitchen opens onto a generous living area. The brown leather couches, stuffed duck on the mantelpiece and surplus of wood furnishings remind me of a laid-back gentleman’s club. Roast Lamb for dinner tonight. There’s no mistaking what we are here for. Stuffed trout stare from a glass cabinet by the front door. Fly fishing books are arranged neatly on the coffee table, including Robert Hughes’ A Jerk on One End: Reflections of a Mediocre Fisherman. Plan a fantastic holiday with friends or family in the three superbly comfortable queen-sized spacious rooms, one with en-suite and dressing room, all with lake views. Guest rooms are anchored by a central living room, dining area, fully equipped kitchen and private office. The colour palette is deliberately muted with elegant use of natural timbers and local stone. The large lake deck also boasts a wood-fired pizza oven, gourmet BBQ and large table setting, to relax and catch up with the day’s highlights and each other. There is a secure garage for two cars and a laundry for your convenience. Your gourmet kitchen has everything you need to prepare delicious meals.